While most people have a problem with greasy or oil hair and scalp, there is a select few of us that might experience the opposite, which is hair being too dry. But there’s no need to worry, because there are some wonderful shampoos that can help your hair get hydrated and healthy and leave the dryness behind. We will go over several shampoos in this article so that you can find the best shampoo for dry hair and scalp that will work for you. First, let’s go over why your hair might be dry in the first place. The most likely reason is that your scalp is simply not producing enough oil to moisturize your hair. And that can be due to several reasons, but one of the most common reasons is that you simply wash and shampoo your hair too often. When you shampoo your hair too often, you remove all the healthy oils that are naturally produced by your scalp. For some reason, that causes their scalp to over-produce oil, which becomes an oily hair problem. But for others, the scalp doesn’t produce enough oil and it turns into a dry hair problem. Below are the 10 best shampoos for dry hair and scalp in 2019. 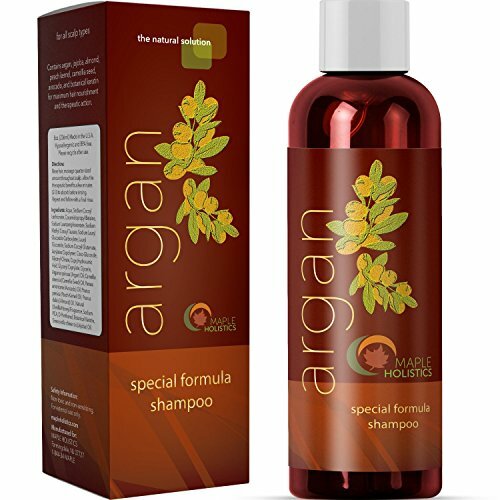 The Argan Oil Shampoo by Maple Holistics is a great example of a natural shampoo that works to restore your hair and scalp's natural oil production. It has several healthy ingredients such as argan keratin, vitamin A, vitamin B1, vitamin B2, vitamin D, and vitamin E. All of those ingredients work together to increase your hair's strength and eliminate frizz. It also uses avocado oil, jojoba, and peach kernel to rejuvenate your hair and nourish your scalp. All of these oils and nutrients help your scalp become healthier over time and prevent your hair from drying out. In addition, it will also prevent your hair from becoming brittle and falling out. Ok, so usually when you say your have dry hair, it means the hair is damaged as well. Because hair cannot really be dry and healthy. Hair is dry because it's not getting the oils and nutrients it needs to be healthy and shimmering. That's where this shampoo comes in. It is a super solution for dry and damaged hair. It uses stearamidopropyl dimethylamine to moisturize and condition the hair, centrimonium chloride to add anti-static and shine properties, amodimethicone to prevent color fading and to add thermal protection, limonene to smooth the cuticle, dipropylene glycol to restore and maintain hair integrity, propylheptyl ether too strengthen hair, and finally dimethylamine to calm frizz in your hair. 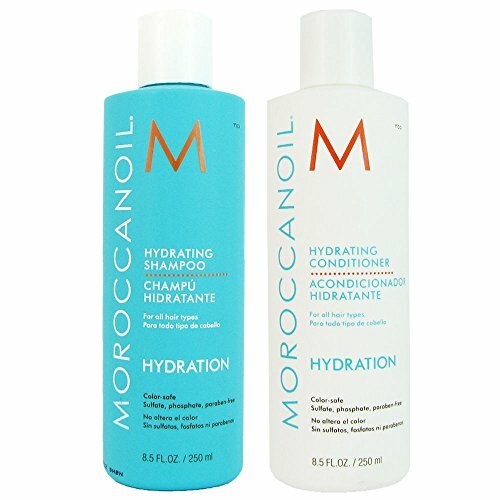 This shampoo utilizes Moroccan argan oil to restore and nourish your hair and scalp. It causes several useful effects to your hair including enhancing the shine and health of your hair and scalp, clean your hair gently and effectively, and hydrate and protect your hair while leaving it shiny and thicker. Some of the other ingredients it uses includes aloe vera, white willow bark, burdock root, rosemary, and thyme. They all work in conjunction to stimulate cell renewal and healthy growth for an overall healthier scalp. 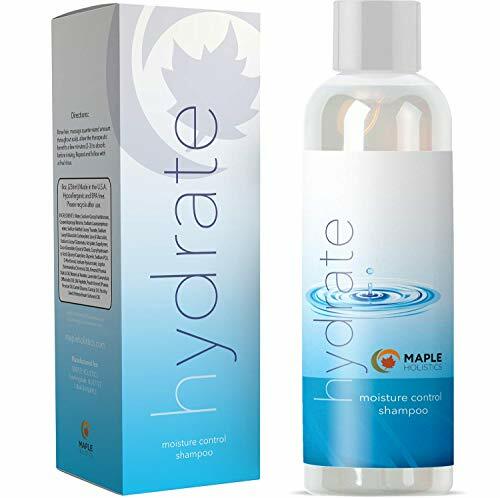 Maple Holistics is a popular brand on Amazon and just about all of their products are highly rated and praised. That's because they are pretty effective in getting your hair and scalp back to its natural and healthy level. This specific shampoo works to create a highly moisturizing potion that repairs hair damage by utilizing essential oils to restore the necessary oils to your hair and scalp. Some of the ingredients it uses include carrot oil, almond oil, and jojoba. This all-natural formula with silk peptides regenerates skin cells and rejuvenates your hair. It is definitely a good option to try if your hair is dry and damage and in serious need of repair and help. This is not a shampoo, but rather a conditioner from Maple Holistics. It is a great option for those that want to keep their current shampoo for whatever reason. It contains a masterful blend of harmless conditioning ingredients that work together to help your scalp. Most of the ingredients are derived from silk, which includes eighteen different silk amino acids. 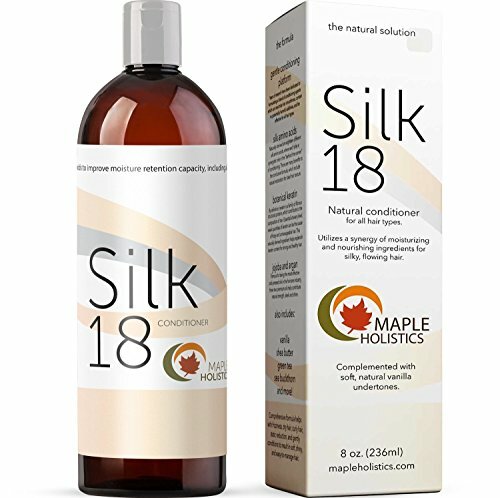 The Silk18 conditioner helps with frizziness, dry hair, curly hair, static reduction, and gently conditions your hair into a soft, shiny, and easy-to-manage hair. Sounds too good to be true? Not really. It is very do-able actually considering the natural ingredients it uses, you just need to try it and see if it will work for your hair as well as it does for most other people. By now you probably know that Moroccan argan oil is very healthy for your hair and that's why this shampoo also utilizes it. It deeply penetrates the hair follicles and stops bad scalp conditions at its source. The handful of powerful nutrients and minerals work to transform your hair into softer, silkier, and shinier hair. This shampoo is especially useful if you're against harmful chemicals that might cause adverse effects, since it uses only natural ingredients. Due to the quality of ingredients, this shampoo can be used daily or as needed. It is totally up to you. 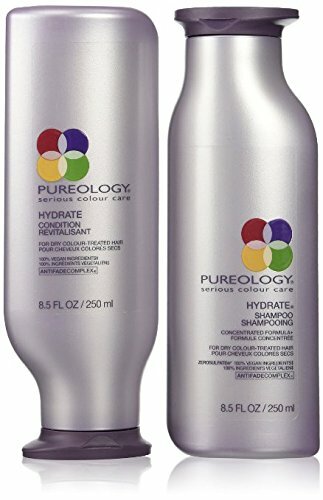 The Pureology Hydrate Shampoo and Conditioner set is a great started option for those with dry hair. It is a popular shampoo that's known to moisturize, detangle, and lock in your hair color. And let me know you something, it uses a lot of great ingredients that have been shown to be healthy and good for your scalp and hair. Some of those ingredients include rose, sandalwood, green tea, soy, oat, what, peppermint, rosemary, sage, jojoba, and Shea butter. If you're looking for a shampoo and conditioner set, this is a good one to try at first. Then depending on how effective it is for you, you can look for other shampoos that have similar ingredients if it worked well, or different ingredients if it did not work well. And yet another argan oil shampoo on this list. You might be wondering why did I include so many and why wouldn't one be enough? The reason is that argan oil itself is very healthy and effective to moisturize your hair, but the other reason is that all of these shampoos use other ingredients as well. 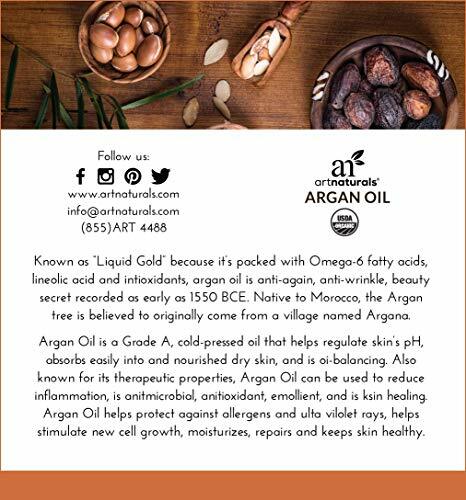 So argan oil might be the main ingredients, but it is not the only one. And this mixture of different ingredients is what can make the shampoo be super effective or not effective enough depending on each person's scalp. In addition to argan oil, this shampoo also uses Olein Glyceride Linoleic Acid, vitamin D, vitamin E, jojoba, camellia seed oil, peach kernel oil, and avocado oil. 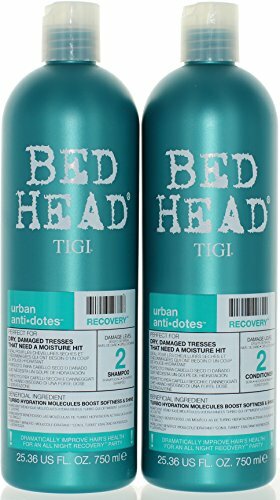 Another great shampoo and conditioner set to try if you're looking for one. 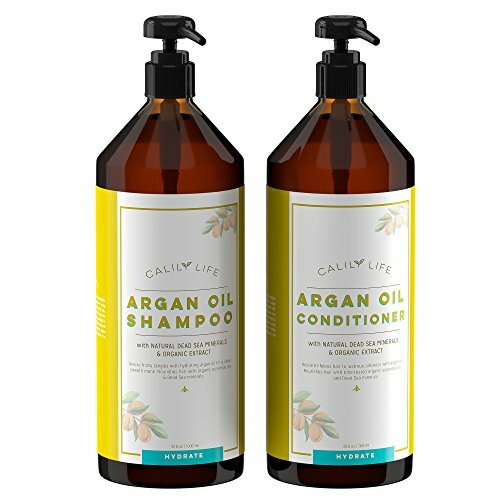 This shampoo and conditioner both utilize argan oil, keratin, and various fatty acids to condition and repair your hair and leave it strong, lustrous, and more manageable. If the Pureology set above didn't work for you, then I would suggest trying this one and seeing the results. Since they're very opposite of one another as far as ingredients go, the results will also often be very different. Although they might both be effective or not effective for certain people as well. And finally we have the shampoo from Pantene. 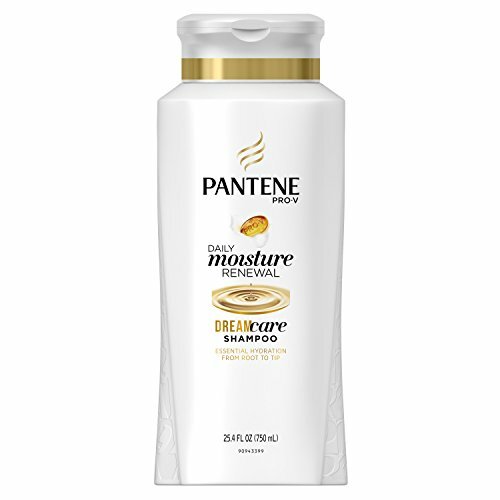 Everyone has heard of Pantene already and they're very popular in making high quality hair products. This shampoo is no exception. It is their solution to the dry and damaged hair problem that so many people face today. This shampoo is meant to be used daily and uses a proprietary antioxidant-rich formula to gentle cleanse your hair with a rich and creamy lather which will hydrate your hair for an all-day moisturized feel. They also have a conditioner that compliments this shampoo, so if the shampoo works great for you, I'd suggest trying their conditioner as well.